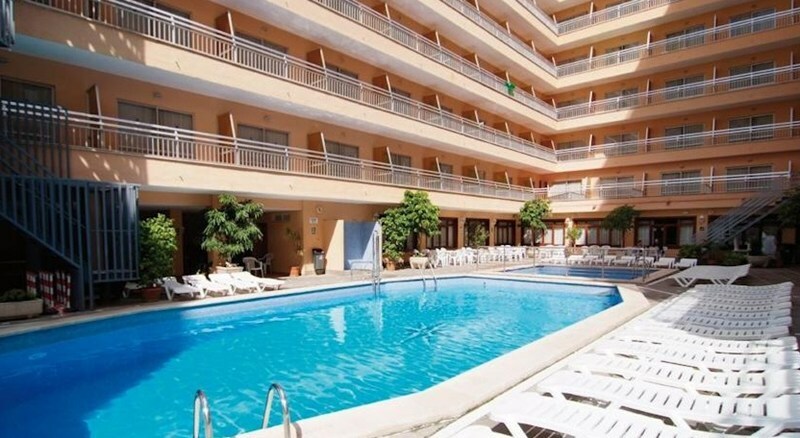 This welcoming beach hotel is situated in the neighbourhood of the well known, lively tourist area of El Arenal. The kilometre-long sandy beach is just meters away and the airport lies 8 km from the hotel. There are scores of shops, various restaurants, as well as bars, pubs, nightclubs and public transport in the area surrounding the hotel. Bicycle and car hire services are also available. In the outdoor complex guests will find a freshwater pool as well as a sun terrace with parasols and sun loungers. The hotel offers sport enthusiasts table tennis, volleyball, snooker and bowling. Banana boating, water-skiing, jet skiing, speed boating, diving, windsurfing, sailing and canoeing are all part of the activities available on the beach. The hotel also offers a seasonal entertainment programme to ensure that there is never a dull moment. The nearest golf course is about 7 kilometres away.